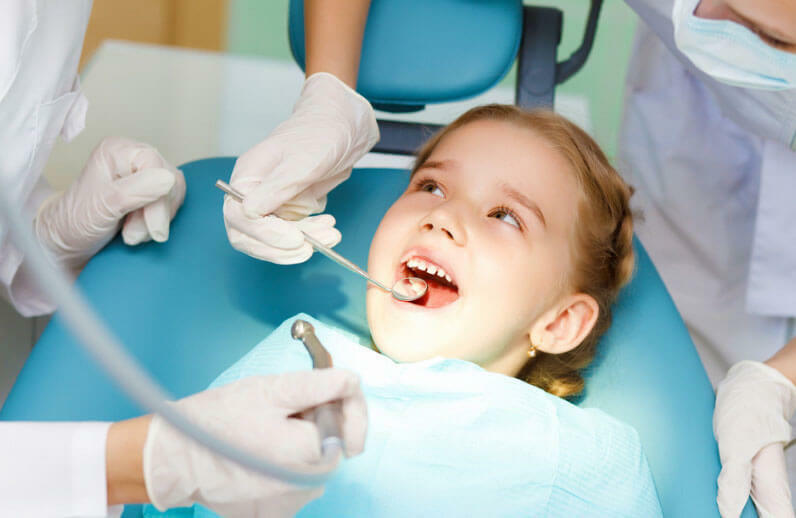 Pediatric Dentistry is one of dental branches which advises and take care of child’s dental health since first tooth till 12 years old. 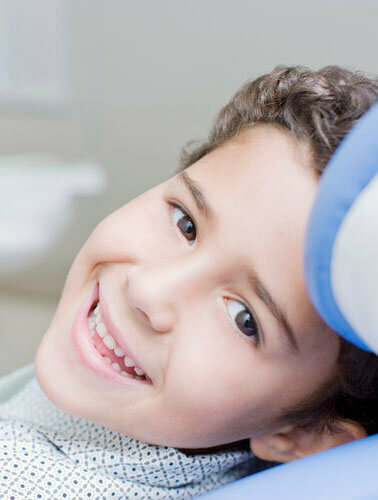 So cultivating your child to take care of dental health right is liked long-term investment that make your child has good dental health goes on and on. Letting doctor take care since the first tooth is significant. Due to child is risky to has carries, especially age between first two to three years old which still need milk bottle. Most of milk powder has sugar in it. Eating sugar often help bacteria change sugar to acid that leads to caries as a result. So if parents can’t clean their child’s mouth properly, their child will be risky to carries. First stage of caries usually don’t show off. 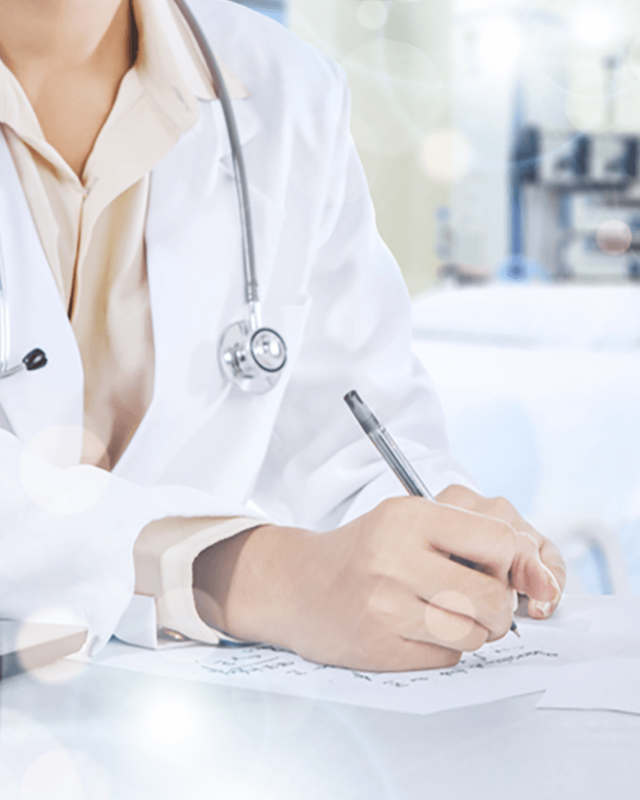 Parents will hardly know that child already has carries till it infected to pulp tissues. Effect child’s teeth to be infected and causes seriously pain. If infected teeth is left for too long, we can clearly see a pustule on gums. So caries treatment in serious case usually has specific injection and comes with High-costed payment. Also, it makes child has bad attitude with dental caring and dentist too. Visiting dentist every six months to check up oral cavity is necessary for prevent from carries. Carries preventing can be done by Fluoride coating or coating between teeth gap. If dentist found cavity since the first stage, dentist can fill the cavity before it’s infected and hurting. What is filling material and what is it doing? What should you do with chipped, broken, or fallen off teeth? 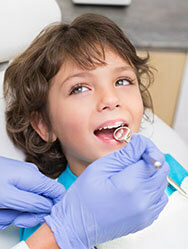 If child has felt the pain after teeth breaking or chipping, a thing should do is visiting dentist immediately. In the case of a tooth falling off, you must bring a tooth to dentist as soon as possible. Keep it clean in water or milk till visiting dentist because it may possible to re-attach to where it was by implanting. Fluoride is the best carries preventing which is the neutral minerals. It is teeth coating to make healthy teeth by adding Calcium and Phosphorus that make teeth healthier. How to brushing teeth properly? Brushing child’s teeth should start since the first tooth or not later than molar-baby teeth appeared. Parents should choose the right size for their child’s mouth or long enough to two teeth at least. Brushing teeth twice a day in the morning and before bedtime is recommended. After finished brushing before bedtime, shouldn’t eat anything else. They should choose Fluoride toothpaste for their child. Lower than three years old kids need toothpaste just wetting toothbrush or they called “smear”. Three to Six years old kids need toothpaste as pea sized. Parents should brush their child’s teeth first. If kids can do by their own already, parents should give them a try with teaching hand by hand and give advice in the same time. Cultivating the right attitude to brushing teeth and love to take dental care. The most effective and easiest way to brushing kids’ teeth is the technique called “Horizontal scrub”. It is brushing in horizontal ten times per position then change to next position from left to right, inner and outer, and also occlusal surface. Next one is tongue cleaning by tell kids to tongue out as much as possible. Brushing out softly many times. Last one is flossing with Dental floss around teeth niches which parents should done it for their child until they can do by their own.